This week's question is about the overhead grid on the Tri-State Tollway near Touhy Avenue. 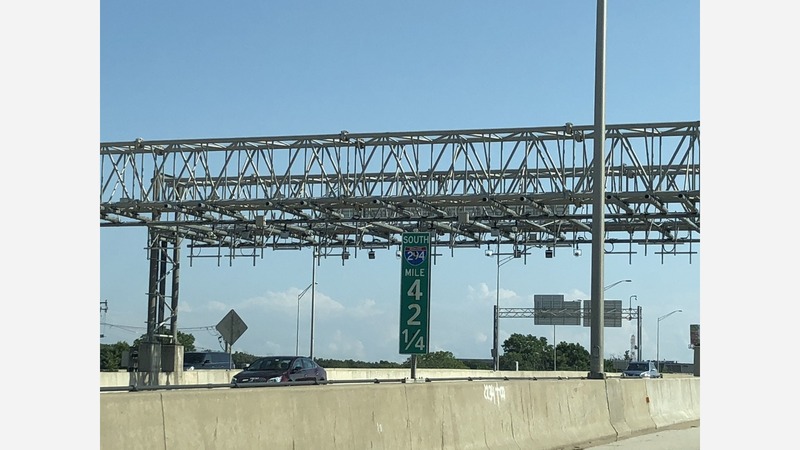 COOK COUNTY, Ill. (WLS) -- This week's question is about the overhead grid on the Tri-State Tollway near Touhy Avenue. It looks like an open-road toll, but it's not. The signs say, "TEST ZONE NO TOLLS TAKEN". What is the Illinois Tollway testing? They're testing for a lot of things, since the overhead grid has been there for a while. They're testing cameras and antennas, so they can test the use of transponders from other states. They're also testing a transponder sticker tag that would attach to windshields. Long term, they're testing for the use of apps on cell phones to pay tolls. To find out more, visit illinoistollway.com.